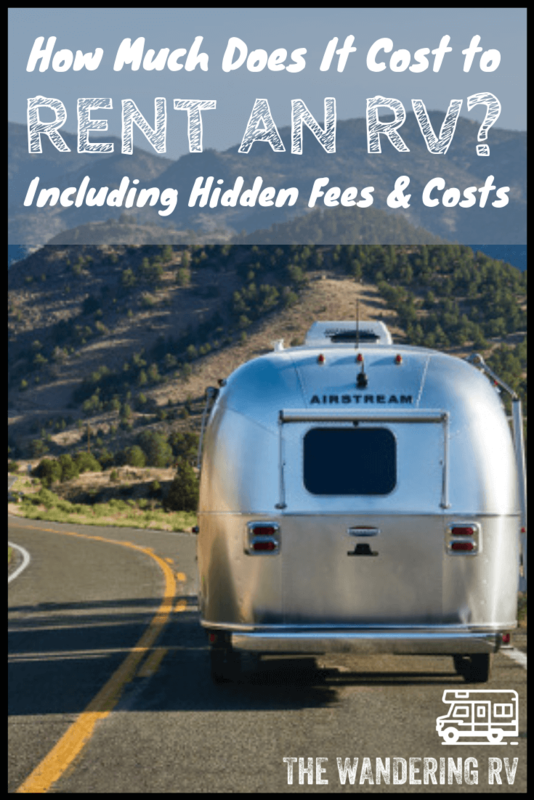 RV Rental Prices 2019: How much does it REALLY cost to rent an RV? Not just the RV itself, but including hidden costs like setup fees, cleaning fees, gas, mileage, etc. We wanted to know. So we researched average RV rental prices across the US to find out! Ready to budget your next RV rental vacation? Click here to jump to the chart or keep reading. Note: Some of the links in this article are affiliate links. This doesn't cost you any more than normal. Read our disclaimer for more info. 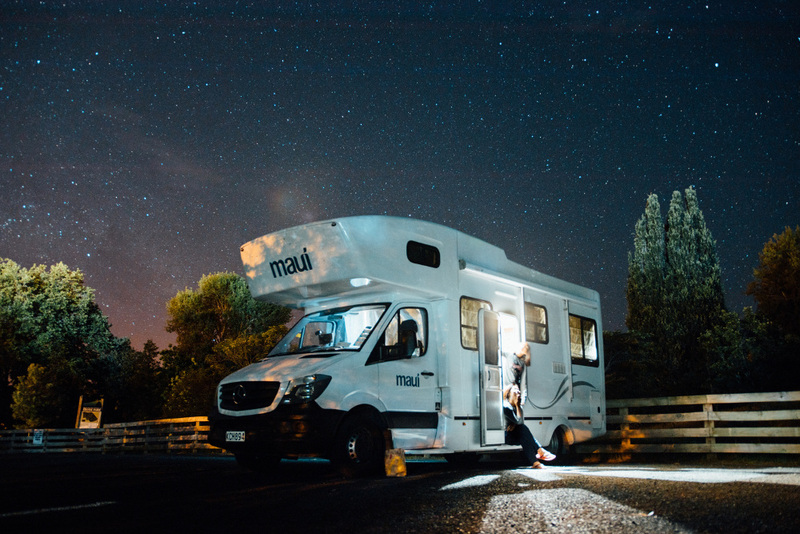 The cost to rent an RV varies widely depending on which RV rental company you're renting from, what RV type you're renting, the rental location, the age of the RV, and more. 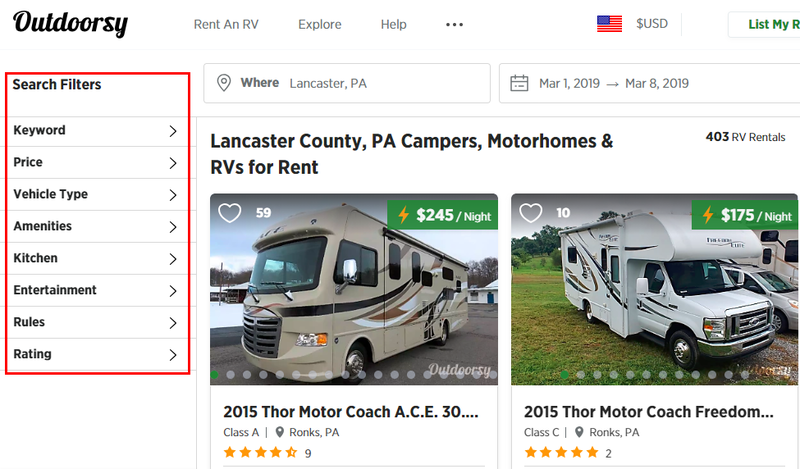 However, to give you a general pall-park of pricing, here are the average RV rental prices across the US for peer-to-peer RV rentals (RVs for rent by owners instead of companies), such as Outdoorsy. (hover over the ? next to taxes and fees to see it). This price is even lower if you opt for a long-term camper rental (a month or more). The owners will often negotiate with you because it makes their lives easier. The only time I would recommend renting from a company like this or from your local RV dealer is if you're getting a crazy good deal on a one-way RV rental. They sometimes offer these so they don't have to pay someone to drive their rigs back to another rental location. However, the cost of the rental itself isn't the only thing you'll have to pay for! RV Campground Rates: If you decide to stay in a campground, you'll obviously need to pay for your spot. However, you can opt to go boondocking or dry camping for free instead, if you don't mind a bit more adventure and fewer creature comforts! Cleaning Fees: While not all renters charge cleaning fees, some do—and they cost, on average, $50-$100. However, you can usually avoid such fees if you clean the camper rental before returning it! Setup/Delivery Fees: Some RV owners give you the option to have your rental delivered to the campground site you're staying at, and set it up for you. For some, this is the ONLY option to rent their camper. Either way, the usual cost is around $150-$200 one-time. Gas: If you opted for a motorhome rental, you'll need to put gas in it! Most renters want the tank filled before you return their rig. If you don't adhere to this rule, they can charge you the cost of filling it up, plus an additional fee ($20-$50) for them having to drive to a gas station and fill it. So fill 'er up! Mileage/Price Per Mile: It's easy enough to find RV rentals with unlimited mileage. But some of them give you a restricted number of miles, then charge for additional miles. This averages $0.25-$0.75 per mile over the allowance. Taxes: Ahh, taxes! We can't forget the government. When renting an RV online, you'll pay taxes based on the state you're picking up the RV in. So if you're in Pennsylvania, but the RV rental is in New Jersey, you'll pay New Jersey's sales tax. Rental Insurance: Outdoorsy gives renters up to $1 million in insurance, plus roadside assistance, for free when you rent from them. But you can also purchase Trip Insurance and/or Damage Protection for an additional 6.5% of your total rental cost. Trip Insurance allows you to get your money back (deposit, fees, etc.) in case of a covered emergency cancellation or interruption and Damage Protection protects you from paying for things like broken appliances, damaged interiors, etc. Especially recommended if you're renting a luxury RV! Of course, when budgeting for your RV trip, you'll also want to think about food, souvenirs, local activities, and that sort of stuff. But that's a whole other article! Now that we've broken down the various fees, how much does it cost to rent an RV? The reason these prices vary so widely is because they include everything from small, cheap RV rentals to luxury RVs. Pro Tip: Many RV owners will offer you a discount for long-term rentals, and you can often find deals for as little as $1,000 per month! Ready to go road tripping? Woohoo! Searching for RV rentals is easier than ever. Thanks to Outdoorsy, you can browse camper rentals online and find a wide range of options in a matter of seconds. Plus, if you book online, you can save money and headaches. You're able to see the dates, costs, and get support right on their website. They also have advanced search filters, so you can search based on RV type, price, amenities, keywords, ratings, and more. 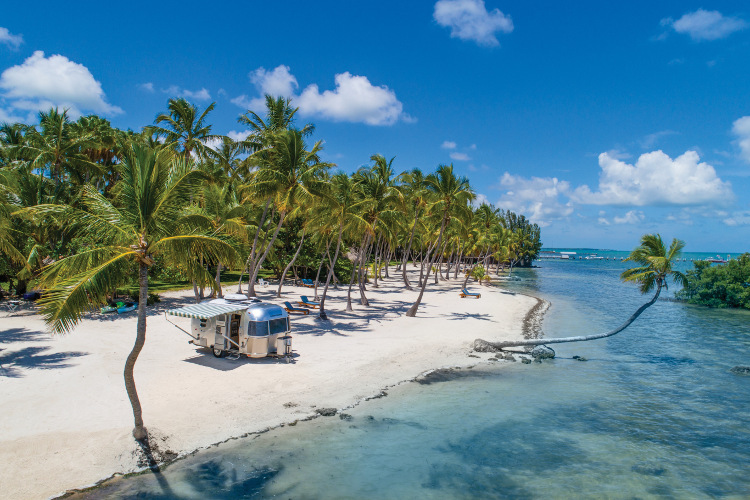 While it can be tempting to take a trip in the middle of summer, you can save several hundred dollars on your trip (between RV campground fees and rental costs) by going on vacation during spring, fall, or even winter! Plus, if you know where to go, you can get some great deals on winter rates and still enjoy warm weather. Not to mention, the tourist crowds won't be around! For example, some campgrounds in Myrtle Beach rent campsites right on the beach for half off until mid-March... but it's still in the 70's and even 80's in late February and the first half of March! One of the great things about RV vacations is that you (usually) have a fully decked-out kitchen to cook in! To avoid constantly eating out and spending tons of money on food, plan out a grocery list for your trip. Kayla made a list of some delicious ground chicken recipes you can try out! Drive slower than you think you need to. Unlike a car or truck, recreational vehicles are much bigger and heavier. They can't stop on a dime. If you're not paying attention, you can easily rear-end someone who just slammed on their brakes in front og you. Avoid cities and one-way roads if you can. Maybe it's just me, but I hate driving in cities to begin with. Driving a big RV through a city really is not fun. Use an RV-specific GPS. Getting a GPS made specifically for RVs is a great way to avoid low bridges, tunnels, and hilly roads that would be a nightmare to drive an RV on. Alternatively, you can get the CoPilot app for your phone to save some money. 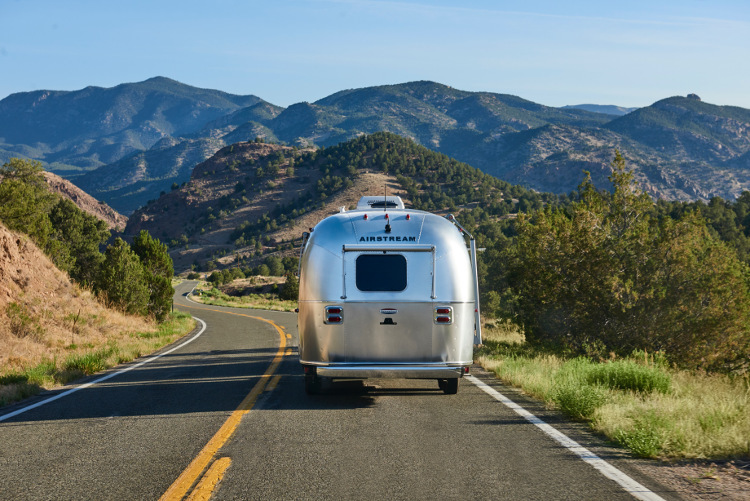 This is especially true for motorhome rentals as opposed to trailers, where you'll be behind the wheel of a totally new vehicle compared to what you're used it. It can be fun to spontaneously go on road trips. However, it can also stress out your RV adventure when you realize the campground you were headed to is booked full. To avoid that (and sometimes get better rates), book your campground ahead of time. Better yer, plan your trip route ahead of time so you can see all the stops along the way. Pro Tip: I highly recommend RV Trip Wizard to plan your trip. It's like Google Maps for RVers, with loads of awesome activities and scenery to add to your route with a few clicks of the mouse! You can also use Roverpass to book campgrounds much more easily. Now you know how much it costs to rent an RV. Are you going on an RV adventure soon? Let us know in the comments below! Your $50 discount will be displayed at checkout (hover over the ? next to taxes and fees to see it).